Hey guys, Vandy Vape presents us the brand new Vandy Vape Bonza RDA V1.5. It is upgraded from the Vandy Vape Bonza RDA. Let us see more details about it. Here is the different airflow system between Vandy Vape Bonza RDA V1.5 and Vandy Vape Bonza RDA. Vandy Vape Bonza RDA V1.5 is designed by The Vaping Bogan who is the youtube reviewer. Vandy Vape Bonza RDA V1.5 is the new and improved version of the original Bonza. This one has bigger Posts, Screws, & Plates. It has a Raised Squonk Pin. There is a locking system for the Top Cap. It has a 9mm Juice Well. It now has Dual Air Flow Control (AFC) Options. 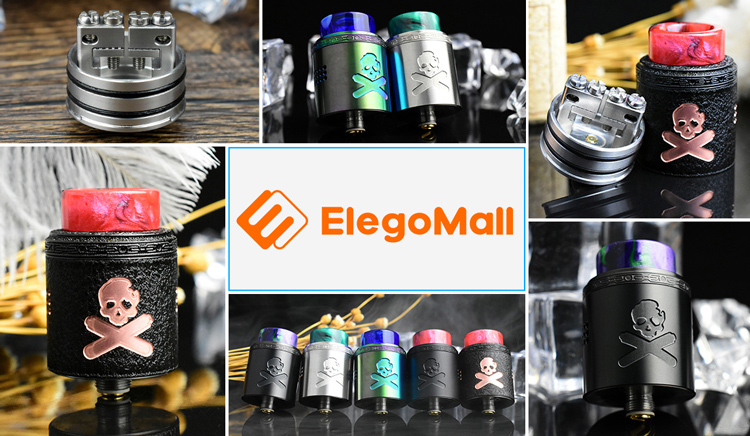 Here recommend some best RDAs for you. Which RDA would you prefer? Share with us in the comment. Please register the wholesale account to get the cheap wholesale price. Get the ElegoMall 2018 Black Friday Coupon Now. The best vape wholesale Online Store.